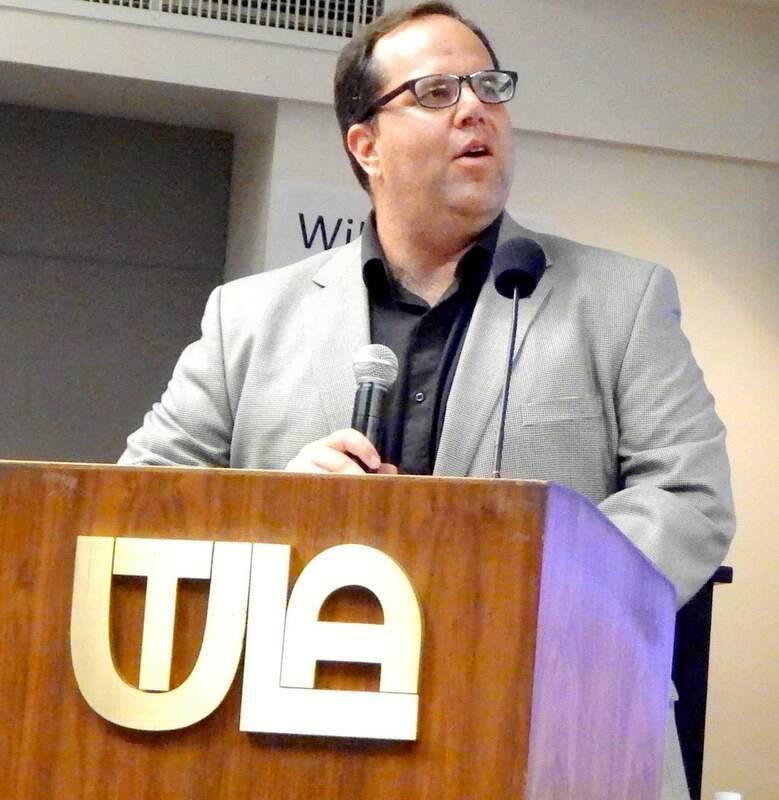 The president of the LA teachers union, UTLA, outlined an aggressive plan for the coming year during a speech on July 29 at the 2016 UTLA Leadership Conference at the Bonaventure Hotel in Los Angeles. Media campaign — UTLA plans on launching its first paid media campaign in years starting this month. The campaign will use billboards, signs, bus benches and more aimed at pressing an anti-charter school agenda. “This is a major intervention in shaping the public narrative, and there will be a key role for you in amplifying the media campaign through social media,” Caputo-Pearl told the crowd. Prop. 30 extension — The union will organize to help pass an extension of Proposition 30, now called Proposition 55, which seeks to extend the temporary personal income tax increases approved in 2012 on incomes over $250,000 for 12 years to be used for education and healthcare funding. Contract preparations — Caputo-Pearl said in preparations for the 2016-17 contract re-openers, UTLA leaders will engage hundreds of members in school-site dialogues about what priorities the union should have in the talks. He said some issues, like class size and salary, are already on the agenda, but other issues like the district’s ability to reconstitute schools, standardized testing and restorative justice implementation could also be prioritized. Anti-charter agenda — The UTLA president also outlined an agenda aimed at taking on independent charter schools in the district and the state. “This fall, we will build a community forum here in Los Angeles with Senator Ricardo Lara, chair of the Senate Appropriations committee,” he said. “The hearing will look specifically at the fiscal report on the impact of charters on LAUSD. It will look at changes to state law that will be necessary if we want to protect the civic institution of public education from insolvency.” He also talked of a plan to coordinate efforts with other teachers unions in the state that will also be entering contract negotiations soon. Organizing — UTLA will be launching a coalition in the fall with the Alliance of Californians for Community Empowerment, the LA Alliance for a New Economy, and the Schools LA Students Deserve Grassroots Coalition to “bring parents, youth, clergy and community into efforts to push for community schools, public school accountability and educator unionization,” Caputo-Pearl said. Contract priorities — In the winter, Caputo-Pearl said UTLA “will initiate a systematic process to identify priorities for our full contract bargaining in 2017-18, through school site chapter meetings and collective surveys, and through input from committees. We will sunshine demands and plan for escalating actions as we head towards the expiration of our contract,” as well as develop coordinated bargaining for UTLA-represented charter schools. Training — Caputo-Pearl said UTLA “will continue our tradition of providing trainings and ongoing support for school site organizing and contract enforcement, from taking on bad principals, to organizing for effective school discipline programs, to holding administrators accountable to the contract, and more.” He added that additional money from a recent dues increase has been used to hire more staff to help achieve this. Board elections — Caputo-Pearl said UTLA is already endorsing LA Unified school board President Steve Zimmer for reelection, as he faces off against Nick Melvoin and any other challengers that may enter the race. “We expect the billionaires to come hard after Zimmer again and we have to be ready. On top of this, the composition of the school board will be up for grabs as board districts 2 and 6 also have elections,” Caputo-Pearl said. More money for political action — Caputo-Pearl said UTLA will encourage its members to invest in its political action fund, PACE, in preparation to fight the Great Public School Now plan — which he calls the Broad-Walmart plan due to it being funded partially by the Broad Foundation and the Walton Family Foundation — and to fund school board candidates UTLA endorses.